Here the Caster and Pollux brand coordinates with the retailer to offer regular shipments via an Organic Dog Food Repeat Delivery Footnote. No muss, no fuss. Pet food is delivered regularly at the schedule you set saving you time and effort. Delivery is free too. 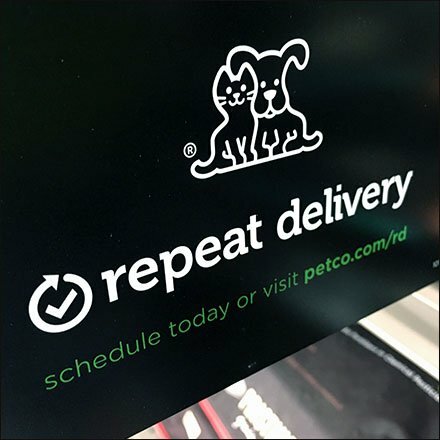 This Organic Dog Food Repeat Delivery Footnote seen at Petco.